Simple and easy Greek yogurt with drizzle some maple syrup, topped with your favorite fresh fruit of the season and homemade granola. This is healthy and packed with nutrients to start your morning. Into your favorite bowl, pour in Greek yogurt to use as the base. 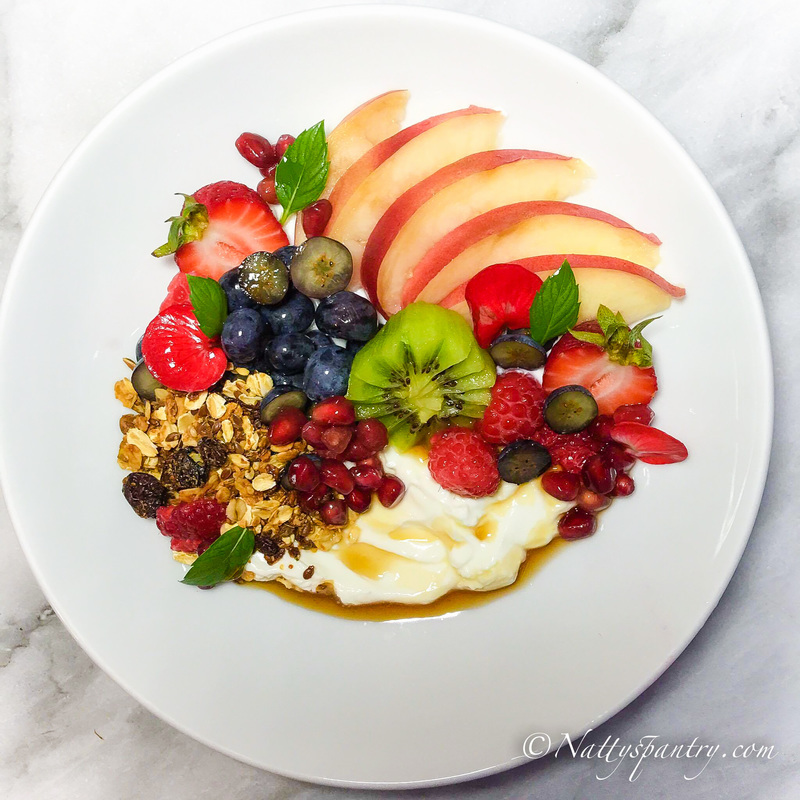 Top with fresh fruit, nuts, and granola as your desire. Drizzle with maple syrup, adding a sweet touch to your morning. ENJOY!